The final Junior playing lists (in the attached document) either reflect the outcomes of recent gradings or where requested (and if feasible), friendship groups. While you may have indicated certain preferences, and whilst every attempt was made to accommodate those, some just could not work - thanks for your understanding. EVERY TEAM NEEDS A COACH & MANAGER! NOTE: There are FFA coaching courses that you can attend and WMFC will reimburse the full cost once you have completed it. BETTER COACHES, BETTER FOOTBALL. This meeting will provide you with important and relevant information about coaching or managing a Junior team. Working With Vulnerable People (WWVP) Card - all coaches, managers and committee member dealing with players under the age of years, MUST have a WWVP card. So if you don't, please apply online through ACCESS CANBERRA website. We hope you all enjoy your season! 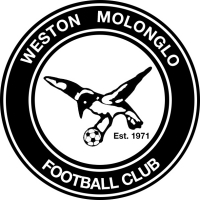 Go WMFC Magpies!! The Junior Girls Team lists are now done! Junior Boys/Open Team lists are now done! ﻿WMFC REGISTRATIONS ARE NOW CLOSED.